This week takes place in Stockholm the world water week. This is the occasion for me to focus on this vital resource for both Nature and Mankind. This is even more interesting as water scarcity crises are more and more frequent at a global level and as nearly half of the world population (2.6 billion people) lacks sanitation. WWF Director General James Leape will tell the opening session of World Water Week in Stockholm that a world water crisis is a key factor behind current global anxieties over faltering food supplies and rising food costs. Many of the world’s irrigation areas, however, from wealthy to less developed nations, are highly stressed and drawing more water than rivers and groundwater reserves can sustain. Freshwater food reserves are also declining in the face of the quickening pace of dam construction and unsustainable water extractions from rivers. WWF is taking a major role in World Water Week to highlight a host of other water related problems and their potential solutions. Faltering river systems are increasing conflict, reducing power production, weakening important aquatic transport networks and increasing health risks – not least through reduced performance in transporting and naturally treating wastes. Wetlands in particular play a major role in reducing disaster impacts and in climate regulation, with peatlands covering just 3-4 per cent of world land area but containing an estimated 25-30 per cent of the carbon in terrestrial vegetation and soils. Release of this stored carbon would be enough to raise global temperatures by 2-3º C.
Mr Leape said the world was a long way from being ready for a worsening water crisis, with profligate water use still the rule rather than the exception, protection and management schemes for only a minority of freshwater reserves and effective protection and management for only a minority of schemes. “A global treaty for co-operatively managing rivers and lakes that cross or form borders is still languishing in limbo more than a decade after being approved by a clear majority in the United Nations,” Mr Leape said. WWF will spend the week in Stockholm outlining solutions to the water crisis grounded in its work with governments, business and communities world wide. “Water management for human needs alone is damaging the natural systems we all depend on,” Mr Leape said. “No management is even worse. WWF is to present studies showing the water footprint of the UK and conference hosts Sweden extends to some of the driest and most under-privileged areas of the world – but both water exporting and water importing areas can do much to reduce their demand on water resources. “We are also concerned that the world continues to mainly discuss adaption to climate change rather than doing it,” Mr Leape said. “We have been doing it, all over the world, and we have found that that improving the health of freshwater ecosystems now makes a great contribution to improving their resilience to climate impacts in the future. Of the world’s total water resources, 97.5 per cent is salty and of the remaining but mainly frozen freshwater, only one per cent is available for human use. 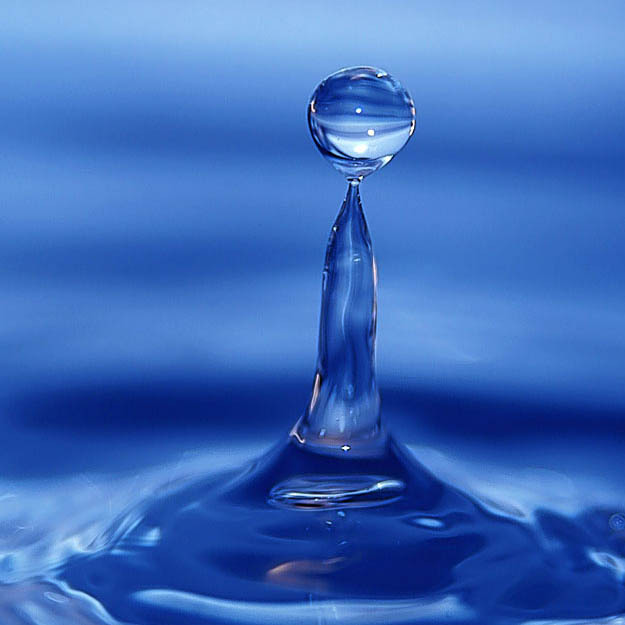 “Even this tiny proportion, however, would be enough for humans to live on earth if the water cycle was properly functioning and if we managed our water use wisely,” Mr Leape said. For more about the World Water Week, please see the official website. Wow! only one percent, that seems so little. thanks Edouard for another great post, and for all your comments at La Marguerite and Huffington Post. Just completed new post for HuffPo on biodiversity. It should be up in next day or so. I have some other major stuff coming this week on water and so on. So stay tuned ! ← … and in China too ?